The Belize Barrier Reef may not have the worldwide recognition of Australia’s Great Barrier Reef. But the UNESCO World Heritage Site stretches over 190 miles, comprising more than a third of the 560-mile Mesoamerican Reef, which is the second largest coral system in the world. It’s also Belize’s top tourist attraction by far, drawing around 130,000 visitors annually. 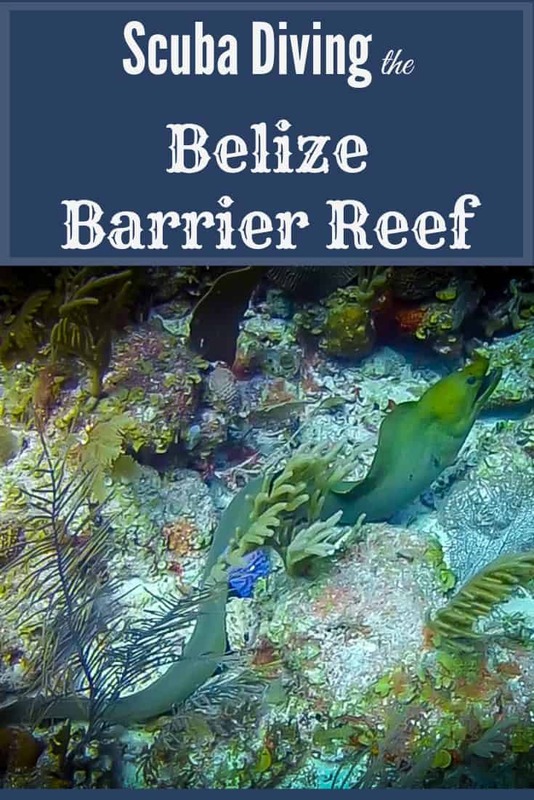 The 370 square mile Belize Barrier Reef System encompasses seven marine reserves, 450 cayes (including the ever-popular Ambergris Caye and Caye Caulker), and three atolls. 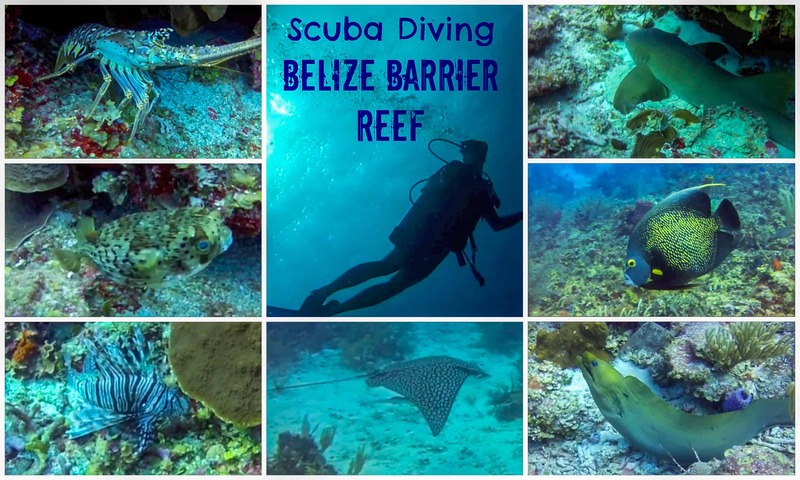 Belize is arguably the most exceptional place for Scuba diving in the western hemisphere, with a diverse array of walls, pinnacles and reef flats to be explored. It’s one of the world’s most diverse marine ecosystems, providing home to over 100 species of coral, 500 species of fish, and hundreds of invertebrates. And with 90% of the Belize Barrier Reef still waiting to be researched, scientists estimate there are thousands of new marine species there just waiting to be discovered. Our day of diving the Belize Barrier Reef with Hamanasi Adventure & Dive Resort was like Charles Dickens’ A Tale of Two Cities: It was the best of times, it was the worst of times. It was the worst because my father had passed away the week before our trip to Belize, and I was just starting to deal with the shock and grief that comes from losing a parent unexpectedly. Even the dive itself proved problematic: While I was filming GoPro footage of a Nurse Shark early in our first dive of the day, another diver came down on top of me and knocked me into the coral, drawing blood from my arm and leg. When we surfaced, the waves were so choppy that I ended up getting seasick as soon as the dive boat picked me up. But in terms of the marine life we saw, it was also the most exciting day of diving we’ve ever had. In addition to the aforementioned Shark, we were blessed with close-up sightings of three Spotted Rays, Lobsters, Pufferfish, Seahorses, a Moray Eel out in the open water, and even a Sea Turtle. We also saw several Lionfish, and learned about Hamanasi’s conservation initiatives to eradicate them. For an additional fee, you can learn to spear-hunt the invasive species, which they serve in the resort restaurant and give the striped spines to local ladies to turn into gorgeous earrings and pendants. As you’ll see in the video above, it was an extraordinary day on the Belize Barrier Reef, which was arguably the most beautiful place we’ve ever gone Scuba diving. Though global warming has led to rampant coral bleaching (which some studies show has impacted up to 40% of the reef), the parts we explored were vibrant, healthy and full of marine life. Our Belize trip was co-sponsored by San Ignacio Resort Hotel and the Belize Tourism Board. But we will never compromise our obligation to be truthful to our readers. How Mary Conquered Her Fear of Water & Learned To Love Scuba!